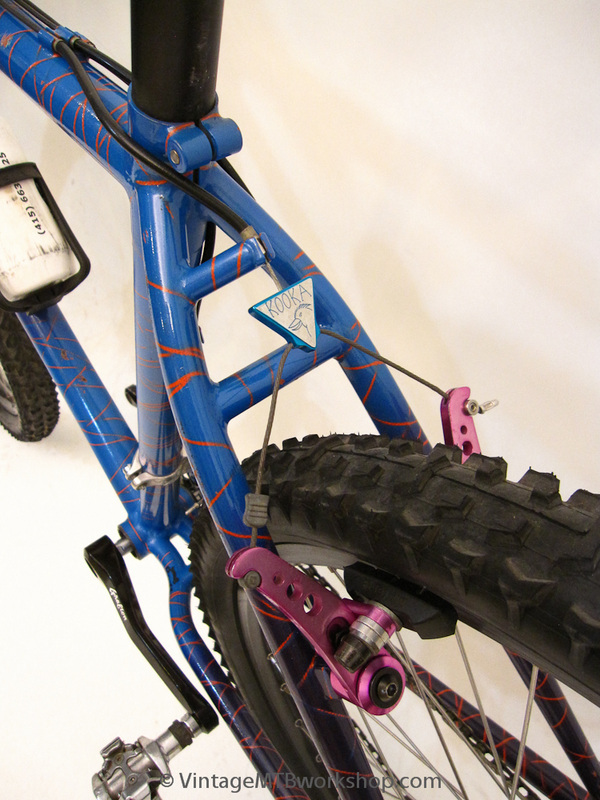 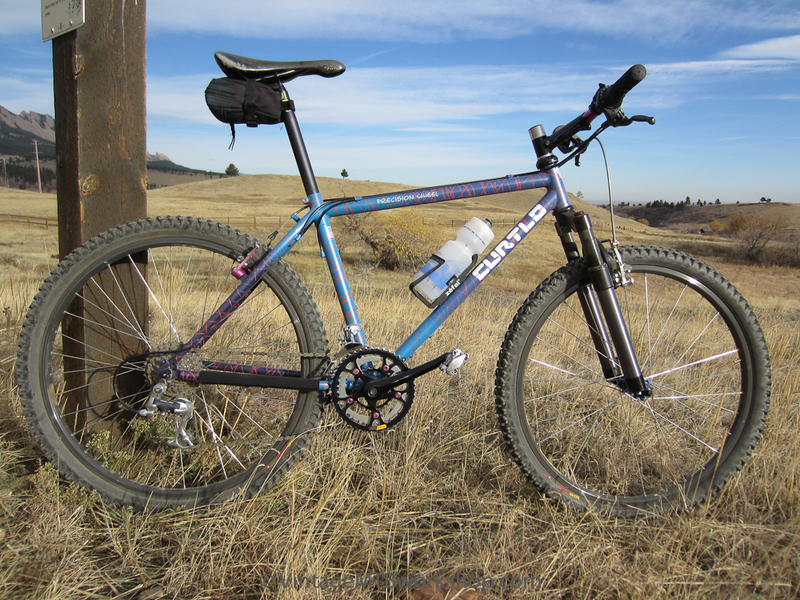 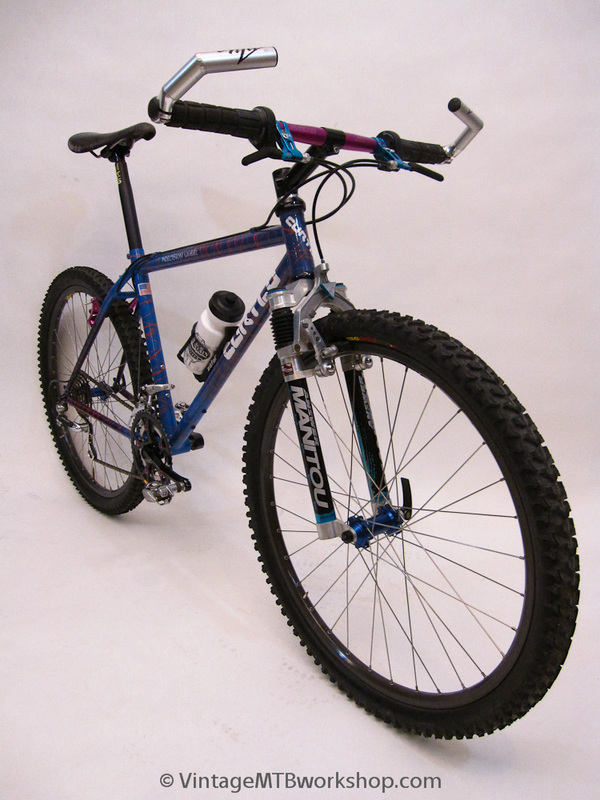 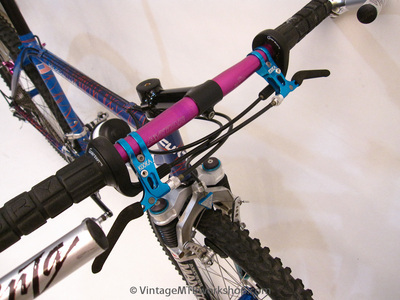 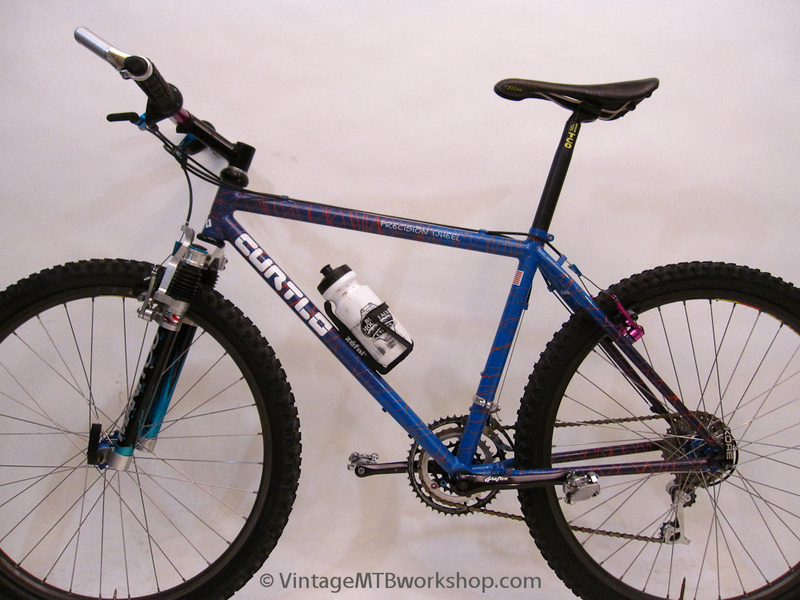 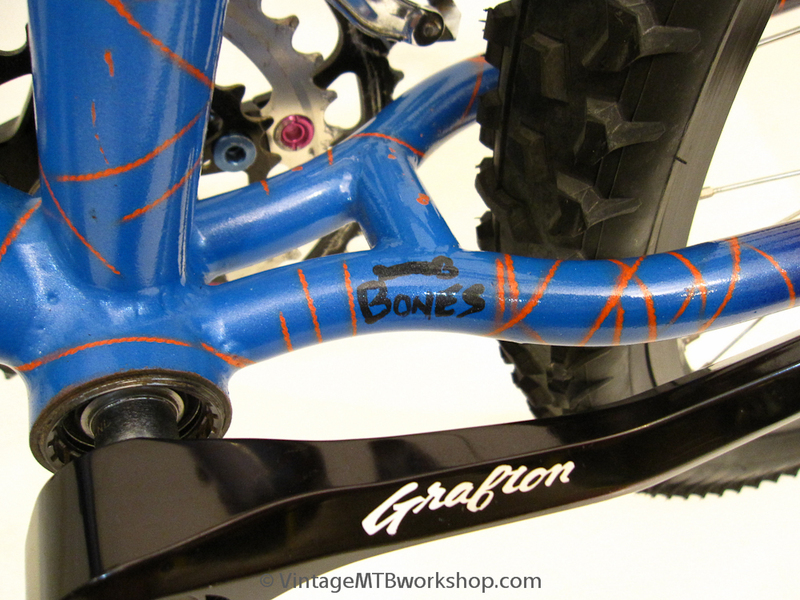 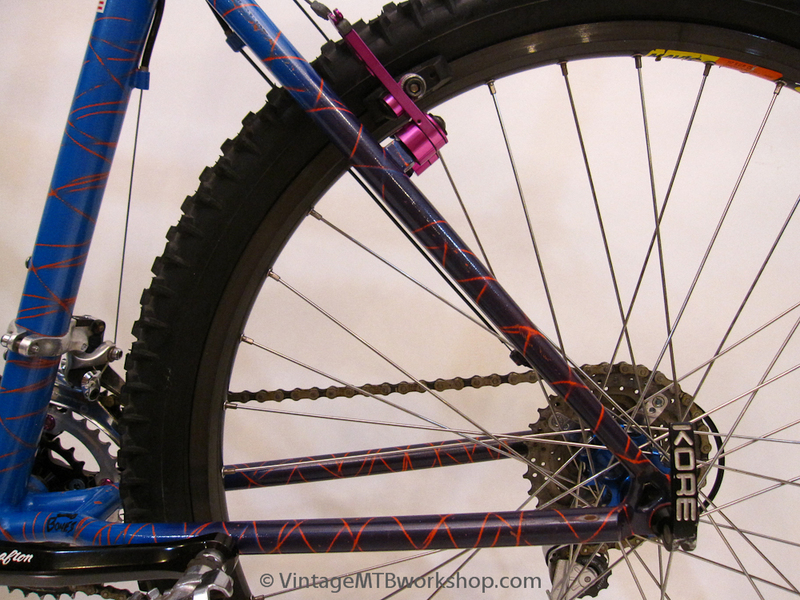 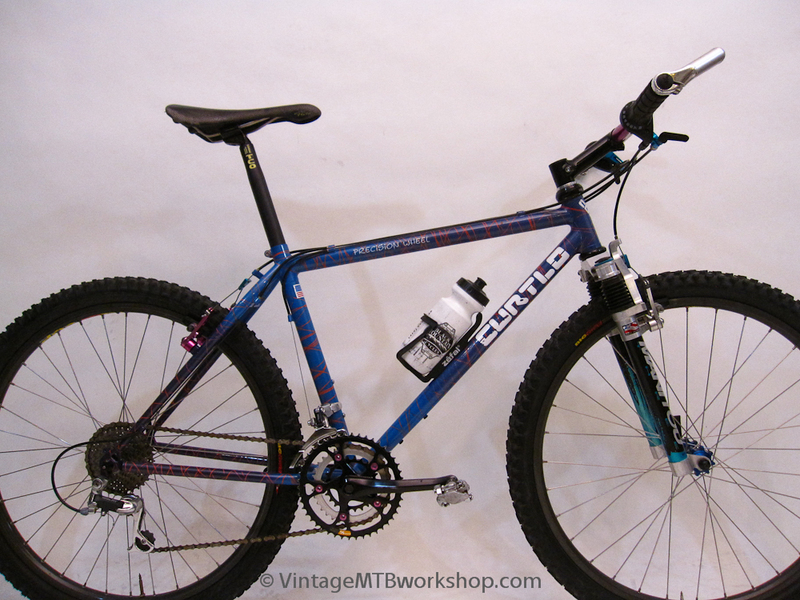 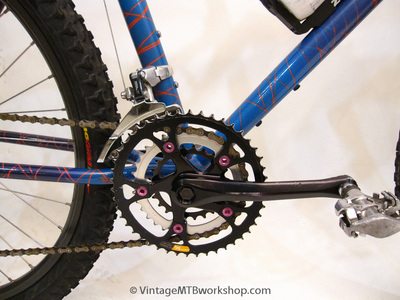 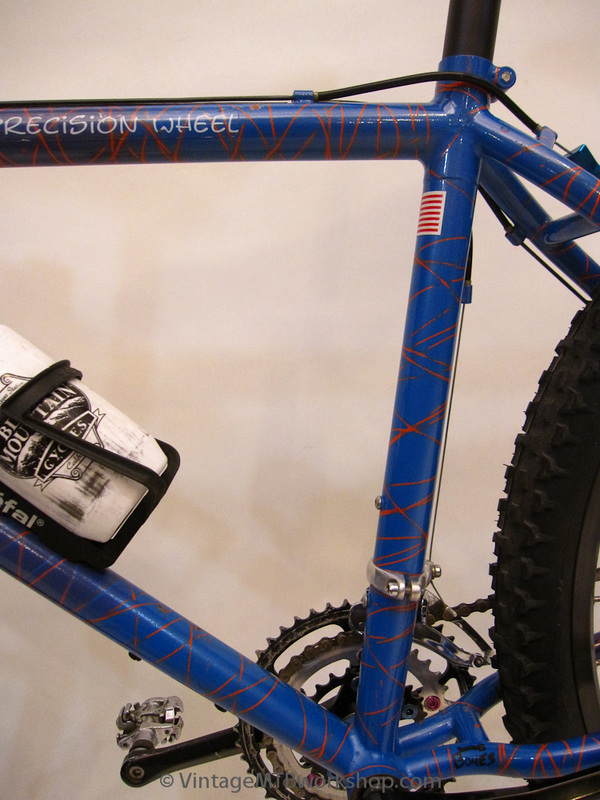 This bike just screams Southern California custom mountain bike based on the components and paint. The frame is fillet-brazed but unfiled. 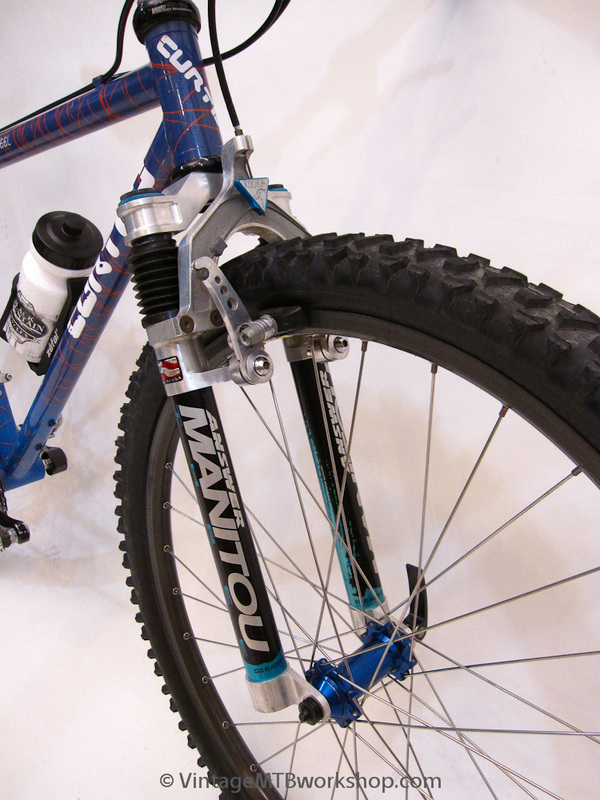 With the tight S-bend stays, there is excellent tire clearance. 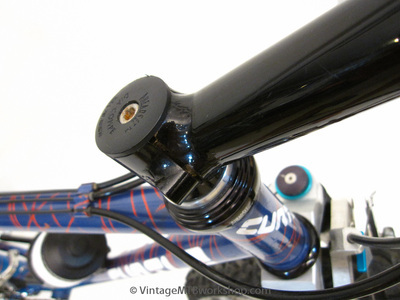 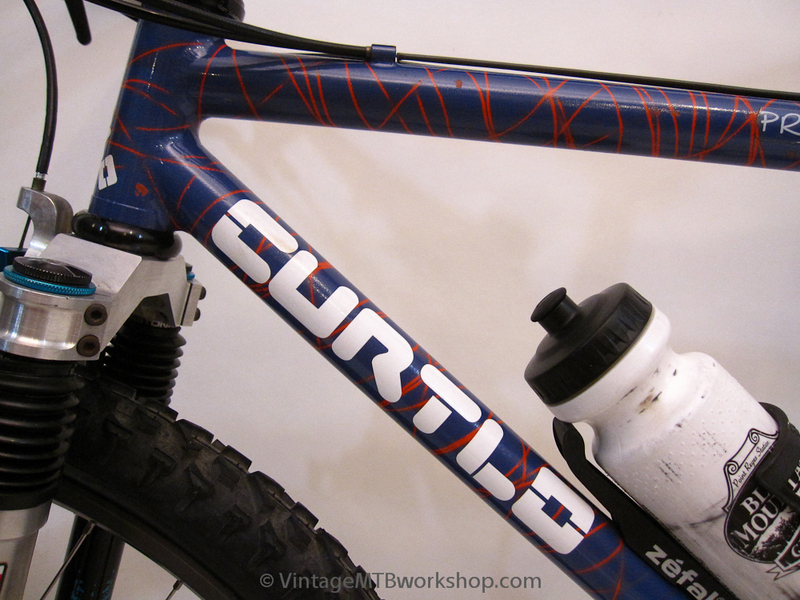 The headtube is 1-1/4" with a Curtlo treadless stem. 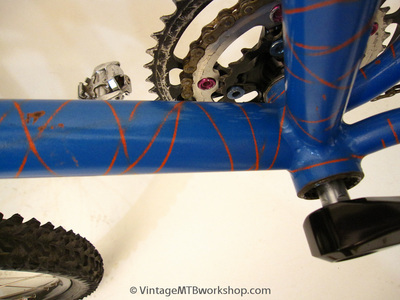 The custom paint job is an orange undercoat that was wrapped in string and then sprayed with the tri-color fade. The paint job is probably the work of the painter "Shades" but it is signed as "Bones."